Filtering by Category: "totally dublin"
Added on February 14, 2012 by Adrian+Shane. 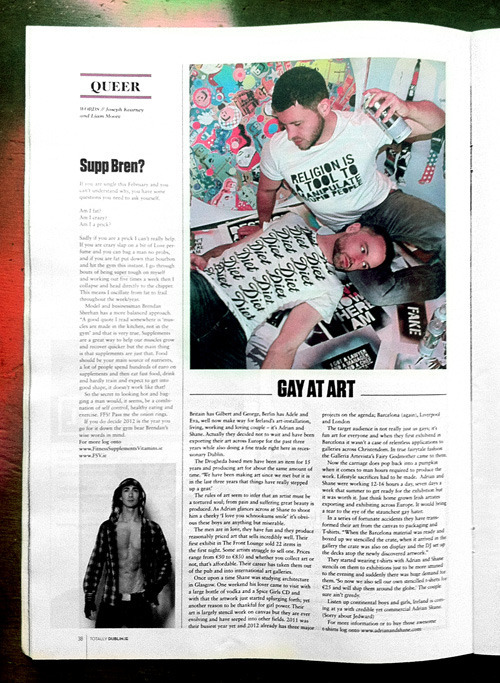 The February issue of Totally Dublin magazine features an interview with Adrian+Shane. Pick up a copy if you’re in Dublin city centre or download the issue online HERE. In "2012", "adrian+shane", "art", "article", "artists", "dublin", "february", "interview", "mag", "magazine", "online", "totally dublin"